Transform your business with best-value SAP Business Objects licences. Boost your ROI with partner advice, fast implementation, and optional services. We sell cost-effective licences for SAP Business Objects Enterprise, SAP Business Objects Edge, and SAP Lumira. Trust in the impartial expertise of high-tier SAP resellers and SAP Gold Partners. This enterprise-grade SAP Business Objects Enterprise is incredibly scalable, allowing up to tens of thousands of users. Licensing models depend on two metrics: concurrent sessions and named users. As well as advising on the optimal selection for your business structure and goals, our team provides a Support and Maintenance Package specifically for SAP Business Objects. Find out more about our SAP Business Objects Enterprise licence sales. Mid-size companies can choose SAP Business Objects Edge, a lower-cost licence with similar levels of functionality to the full SAP Business Objects Platform. The entry-level price is based on 10 Named Users. Find out more about our SAP Business Objects Edge licence sales. This on-premise or cloud solution offers insights through self-service BI discovery and visualisation. 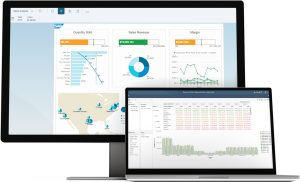 There are three licences for creating more complete pictures of data, producing interactive visualisations, and integrated within SAP Business Objects Suite. Find out more about our SAP Lumira licence sales. SAP Business Objects is an integrated suite of BI solutions, including reporting, analytics, visualisations, and data integration tools. As a long-term SAP Gold Partner, Influential Software offers the most cost-effective range of SAP Business Objects licences. Influential Software’s consultancy services integrate the pillars of strategy management: goals, initiatives, and key performance indicators. As SAP partners with 25 years of experience in the sector, we have the experience and expertise to meet understand your business needs and deliver the software that fits. As well as SAP licences, our team also offers in-house technical expertise in application life cycle management, security services, business consulting services, and any other SAP-related service offerings. 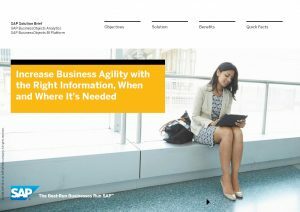 For more details of our SAP Business Objects services, why not visit our dedicated website?